He knows about “crazy things.” He was Tibet’s political leader at 15, forced into exile (1959) when 90,000 Tibetans died resisting China. What he calls “cultural genocide” has motivated hundreds of Tibetans to set themselves on fire. And yet he has joy. 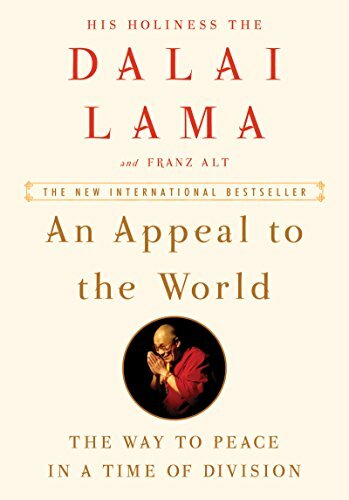 The Dalai Lama refers to “happiness” and surely possesses it. But it is not the happiness of modern societies: the realization of desires. Happiness is what we have when we get what we want. The Dalai Lama, instead, defines happiness as clarity of mind. Hence, the second point of note: Happiness depends on science. He doesn’t mean that science will give us what we want, or bolster the self-help industry, so we feel good about ourselves. He means that science proves that promoting the good of others benefits ourselves. The ancient Indian way of thinking differs from a European/North American “way of thinking.” A few hundred years ago, European philosophers drew a distinction between facts about how the world is—science—and facts about how it ought to be: ethics. They said the latter cannot follow from the former: How the world is cannot tell us how it ought to be. It is the fact/value distinction. It influences ethics today. In universities across North America, ethicists do not discuss the nature of reality or how to know it. They leave this for philosophers of science. The Buddha thought differently: Precisely to the degree that we know the physical reality of the universe, experientially, through feelings, we start to know how to live. And precisely to the degree that we live morally, by which he meant acting for the good of others, we understand our natural reality. The two are inseparable. If I harbor ill will toward others, my mind is agitated and unable to fully concentrate itself. Thus, it is less able to know, realistically. Even the smallest amount of ill will toward others creates agitation in the mind. And when my mind is agitated, I cannot see reality as it is. Instead, I impose my beliefs and values upon it. The Dalai Lama says happiness depends upon a quiet mind. A quiet mind is able to respond to the world, and its peoples. It is able to receive. It feels the causal impact of the world. It is not enslaved to deep wellsprings of anger, fear, and desire. The Dalai Lama does not emphasize this point. Yet it is crucial to his message about secular ethics. Ethics, without the cultivation of mental silence, is nothing but the imposition of values imposed on us. They are not the Dalai Lama’s inner values, expressing and responding to our essential interdependence. These must be worked for. The Dalai Lama spends hours, daily, in meditation. He doesn’t stress this, out of humility. But we see the result: joy, simple joy. He tells us happiness is not a matter of luck. We should train the mind, as we train the body. The mind can be controlled. It does not have to control us. It is science. Mind and body are connected. But although we consider ourselves scientifically developed, we have no control over minds in “developed” societies. This reviewer has not encountered the concept, mental silence, in 25 years of teaching academic philosophy. It is true that religious thinkers—Thomas Merton—emphasize quietness of mind. But particularly in the academic left, religious philosophers are devalued. The Buddha was a scientist. Sensitive, smart thinkers from across the globe have noticed what the Buddha noticed: that human beings are part of nature, interconnected, mind and body. We don’t teach them. And when such thinkers appear in popular culture, they end up in the self-help industry, promoting the unscientific sort of happiness, denying interconnection, and all about gain. The Dalai Lama, like the Buddha, asks us to consider cause and effect. And he shows us the result. He laughs. He is humble. He draws upon a way of thinking that is deeply challenging. He says: “We need to think, think, think” but he also says we must “educate our hearts.” It takes work and patience. The kind of secular ethics he advocates is a more radical, and urgent, hurdle than he lets on. But we have his example. We can follow that. Susan Babbitt is author most recently of Humanism and Embodiment: From Cause and Effect to Secularism (Bloomsbury 2014) and José Martí, Ernesto “Che” Guevara and Global Development Ethics: The Battle for Ideas (Palgrave Macmillan 2014). She writes for Counterpunch and Global Research websites on philosophical issues related to Latin America and U.S. imperialism.